The day is nearly upon you – a tweet orders your favorite pizza, your Apple Watch places your Buy Stock transaction, you automatically add the song playing in your favorite restaurant to your Spotify playlist. That’s right – as your favorite brands adopt the latest mobile app technology to further engage you – App Downloads in the next four years will likely top 280 billion according to the latest prediction by App Annie. At the end of 2015, worldwide app downloads topped the 112 billion mark, 50 percent of which are attributed to Asian markets, according to App Annie’s latest statistics. 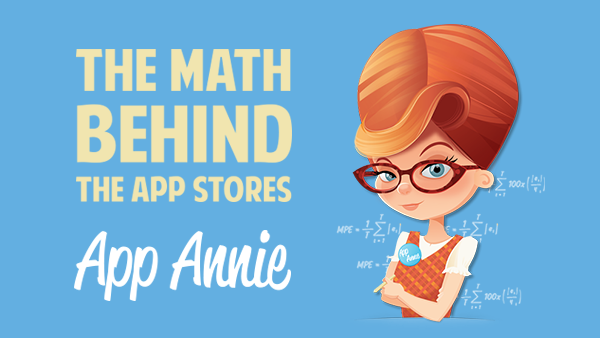 App Annie’s forecasts for 2016 include a rise to near 150 billion, with more than half from Asian markets. The final prediction for the year 2020, indicates downloads near 288 billion – Asia’s share estimated at 60 percent of that total. Of course, App Annie offers this sound advice; downloads are just the beginning of monetization, usage follows with customer engagement and retention. App Annie, founded in Beijing, knows the reality of exploding app market and features a global team spanning a multitude of countries and cultures delivering solutions to today’s greatest data challenges. As the app market expands, App Annie notes that in only two years, the app marketplace has grown over 100 percent. People, all over the world, from the U.S. to Indonesia, and everywhere in between, spend 51 minutes of every hour on their mobile devices in apps and that number is quickly rising. Games apps are no longer the biggest player in the app world as communication apps growth is at 100 percent, social apps at 120 percent growth, and video/media apps are growing at a whopping 200 percent. The exponential growth does not stop there, global businesses are utilizing apps for marketing and sales of new products and services, and expanding into ticket sales, support services, and media streaming. Banking is poised for exceptional growth as sessions in the top banking apps as banks realize, not only is the service popular among the under 25 crowd, but older users are attracted to the convenience as well. For banks this means huge cost savings with fewer outlets and employees, allowing them to compete more effectively with mobile only financial tech start-ups. Alongside banking, retail establishments and restaurants, are also poised for incredible growth in the years ahead. While today, WhatsApp, Messenger, and Facebook rank among the highest used apps worldwide, Snapchat, Uber, Google Maps, and a vast array of retail and commercial apps are leading the way for the app revolution to come – 280 billion downloads strong.